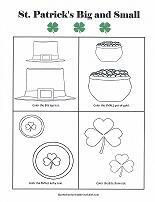 Free preschool worksheets and activity pages will add a "bit of fun" to the St. Patrick's Day holiday. Just click and print. 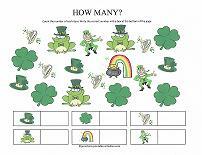 Choose activity pages for counting, matching, patterns, a word-find, Sudoku and more... with plenty of shamrocks, leprechauns, rainbows and pots-of-gold for lots of Irish fun. St. Patrick's Day is known for the color green. People dress in green and partake in green beverages and foods. 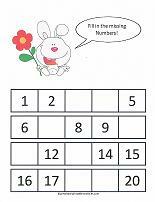 Let the kids count the green items in each row and write the correct number of objects in the box at the end of each row. 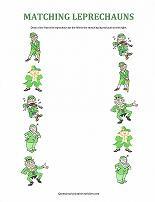 Leprechauns are part of the folklore surrounding the Irish holiday. 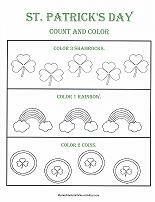 Have the children draw a line from the leprechaun on the left to the matching leprechaun on the right. 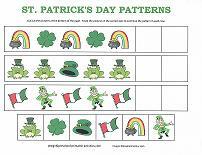 Use the symbols of St. Patrick's Day to teach the concept of patterns. 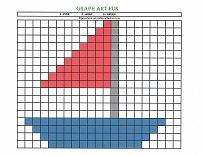 Cut out the pictures at the bottom of the page and paste them in the correct box to continue the pattern in each row. 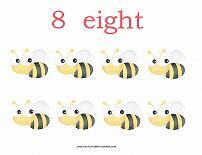 The concept of big and small can only be taught by using comparisons. 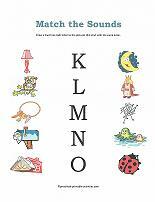 Children must see something big next to something small to understand. 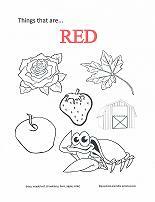 This worksheet asks the children to color either the big or small object in each box. A simple count and color page. 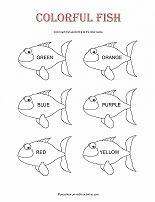 Follow the directions to color the correct number of objects in each row. 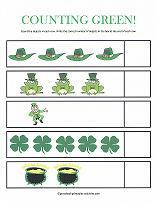 A counting worksheet of St. Patrick's Day items. 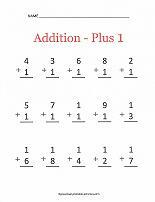 Count "how many" of each item and write the correct number in the box at the bottom of the page. Wearing green clothes to celebrate the day. Use green food coloring to add a "touch of Irish" to meals and snacks. Don't forget to add a few drops to milk for the perfect St. Patrick's Day beverage. Go on a hunt for the color green. Look in your home and yard and see how many green things you can find.